Hi, and welcome to my little corner of the blog-o-sphere! I thought I would start out and share 5 things you need to know about me to help us get better acquainted. one. I am a mom! 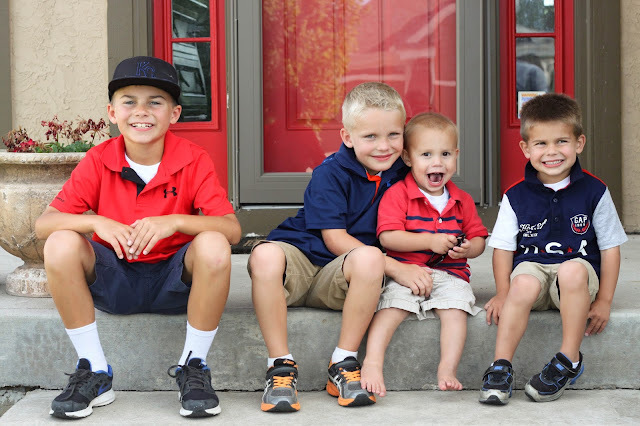 I have four boys, so I guess that pretty much makes me a professional boy mom! I definitely make mistakes, but have a soft spot in my heart for moms of boys (moms of girls I love you too ;-). I think that we moms (to boys and girls) have a big responsibility ahead of us in raising the next generation of men and women (what a privilege)! I will be sharing posts on this blog about motherhood (that is after all the season of life I'm in). I'm here to champion you to be the best mom you can be. My goal is to look back someday and not feel that I was a perfect mother (because that is unattainable), but that I was the best mom to my kids that I could be. two. I am a runner. I trained for my first half marathon 6 years ago, I got "bit by the running bug" and haven't looked back (I'm currently in training for my seventh half marathon)! I have always enjoyed a good run, even back as early as junior high school, but my love of getting out on the open road, clearing my head, and challenging myself to set and break new goals has grown with time. I treasure my time running, because those minutes are some of the only ones to myself all day (4 boys, remember #1 above). There is no better feeling than returning to my driveway early in the morning after a run; knowing I'm putting my best self forward, to start my day. three. I am a preserver of memories. I enjoy to document my family and our memories, because I know all to well how fleeting time is. My oldest is 9, and it feels like he was born yesterday. I use a system call Project Life, specifically the Project Life App that is on my phone (it is so easy to use, and has been life changing for me). There is no better time to start getting those pictures and memories documented than now. More to come about this amazing system in future posts! four. I heart DIY projects. I love to do anything creative in my spare time. DIY projects, crafts, painting a room in my home, the sky is the limit. I love to sew and had an Etsy shop for seven years. One of my products was featured on The Today Show back in 2012. Four boys keep me busy, so my little shop has been on vacation since Judson was born (almost two years ago). So DIY crafts and projects are a must in filling that creative outlet for me. I love to try new things and learn new skills. On my bucket list...learning to tile a floor, anyone want to teach me? five. I am a Christ follower, definitely the most important aspect of my life. I trusted Jesus as my Lord and Savior when I was six years old. 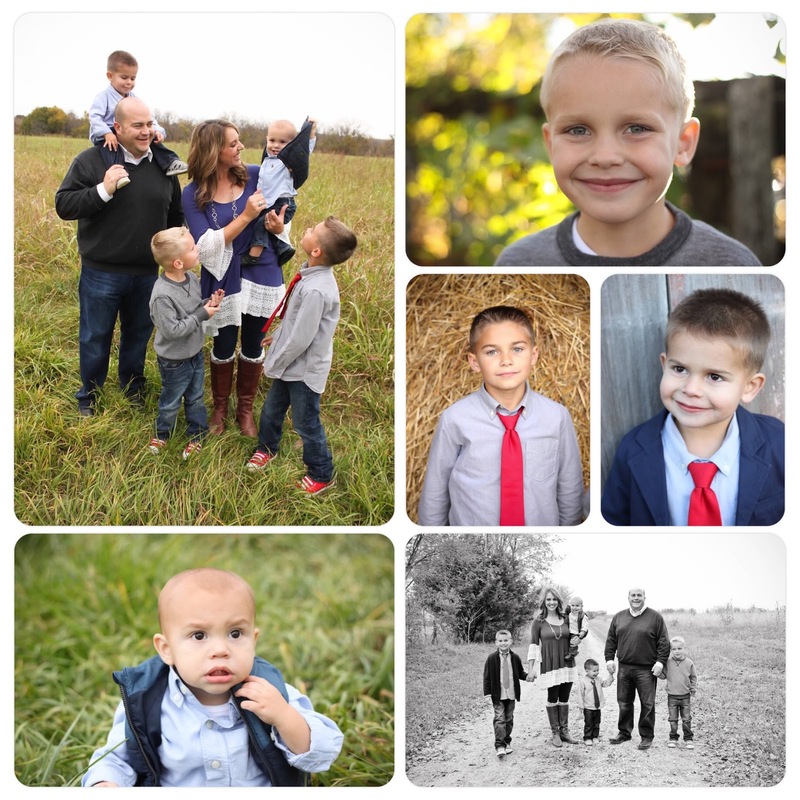 It is my desire to live my life to honor Christ, and my greatest prayer is that I would raise my boys in a manner that they would know, love, and serve Jesus for their entire lives. I married my amazing husband, Chris, 11 years ago, and along with the title wife, came the title of Pastor's wife. I also serve on the women's ministry leadership team and in the children's ministry at my church. It has been a blessing to serve God and His people alongside my husband. It is a unique role to be in, one that not many fully understand and a great responsibility that I do not take lightly. So, you will often see me posting about ministry ideas, Bible studies, practical ministry and biblical parenting/marriage topics. What other topics would you enjoy reading about, or seeing featured on my blog?